McKinney, Texas – McClure Elementary Principal Melanie Raleeh has been chosen by McKinney ISD to be the new principal of Walker Elementary. Raleeh brings more than a decade of experience as a campus administrator to her new post, with highly successful tenures as principal at Eddins Elementary and McClure marking her most recent service for the district. 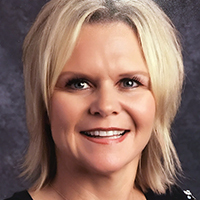 The move to Walker follows the recent resignation of longtime principal, Deborah Sanchez, and the district plans for Raleeh to assume her new duties on Feb. 4. McClure Assistant Principal Maria Hafner will serve as McClure’s interim principal until a permanent successor for Raleeh is selected. Assistant Superintendent of Elementary Student Support Suzy Woodard expressed confidence in Raleeh’s ability to make the transition in leadership as seamless as possible. Indeed, after 25 years in a career marked by a consistently upward trajectory, success is a tradition with which Raleeh is quite familiar. She began her career in 1993 as a fourth grade teacher in Bonham, but by 1997 she had made her way to McKinney ISD. She served as a fourth grade teacher at Glen Oaks Elementary until 2001 when she moved from the classroom into administration and spent the next four years serving, first, as the assistant principal at Eddins Elementary and then as AP at Bennett Elementary. In 2005, she returned to Eddins, this time as principal, and when McClure Elementary opened in 2010, she was chosen to lead the new school. Eddins and McClure flourished under Raleeh’s leadership. During the days of TAKS, Eddins earned National Blue Ribbon School status and a TEA Exemplary rating every year during Raleeh’s tenure there, and McClure earned it in 2011—the first year that it was eligible after opening and the last year that schools could earn that designation from TEA. Eddins earned TBEC Honor Roll recognition in 2006, 2007 and 2009, and both Eddins and McClure consistently earned TEA Gold Performance acknowledgements on state assessments in various categories. McClure earned the Bronze Award for the HealthierUS School Challenge in 2011-2012 and was a Healthy Zone School for three years. Finally, from 2011-2017, the campus earned Honor Student Council of Excellence recognition. For Raleeh, the move to a different campus is an opportunity to reflect on some of that success—and look toward the future. “Opening McClure Elementary nine years ago has definitely been a highlight of my career,” said Raleeh. “The community has embraced and supported our school from the moment we opened the doors. With every detail purposefully planned, McClure has remained true to its roots, focusing on relationships, high expectations, and academic rigor. I have no doubt that the McClure Marshals will continue to pursue excellence in every area. If you need additional assistance with the content on this page, please contact MISD Communications Department team member Shane Mauldin by phone at 469-302-4007 or by email here . MISD Teachers of the Year!